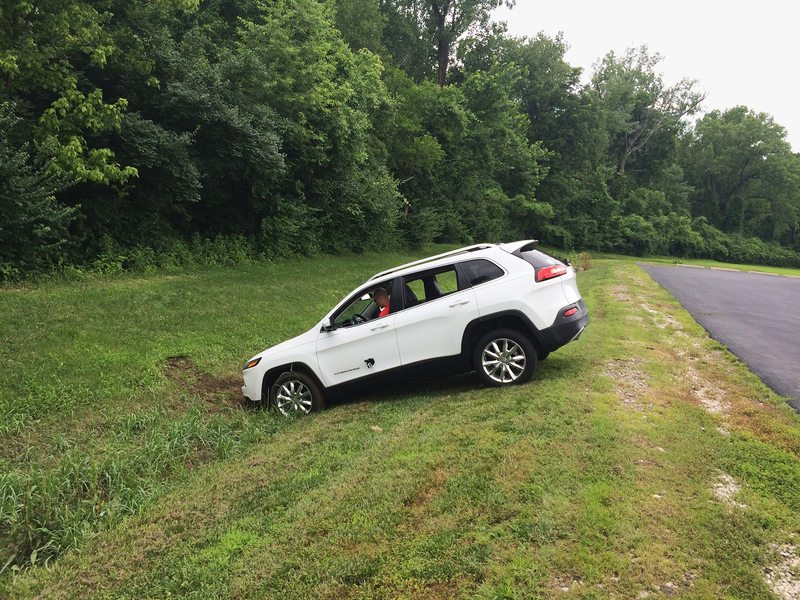 A reporter for Wired somehow got himself mixed up in a terrifying technological experiment, agreeing to drive a Jeep while two hackers overtook the vehicle’s onboard entertainment system and gained access to the SUV’s electronic brains, taking control out of the driver’s hands. Andy Greenberg knew full well that Charlie Miller and Chris Valasek were going to infiltrate the vehicle’s operating systems. He didn’t know when, exactly, they’d take over or what they intended to do, only that they promised him he wouldn’t be in any real danger. At first, the remotely controlled Jeep drove normally enough, with Miller and Valasek playing around with the radio dial and volume, turning on the windshield wipers and cranking the air conditioning. In a particularly ego-driven, jokey move, they even made an image of the two of them appear on the Jeep’s digital display, Greenberg writes on Wired. He was proud of himself for keeping his composure… until Miller and Valasek cut the vehicle’s transmission. He was later able to regain control of the vehicle by turning off the engine and turning it back on, then driving to a deserted parking lot to continue the experiment. Greenberg had worked with Miller and Valasek in the past as they hacked into various vehicles’ computerized brains, with Miller once noting that “When you lose faith that a car will do what you tell it to do, it really changes your whole view of how the thing works.” But that was back when laptops had to be wired into a vehicle’s diagnostic port, the same thing a mechanic uses to find problems with a car at a shop. It’s worth noting that both men have respectable day jobs: Miller is a security researcher for Twitter and previously worked as a hacker for the National Security Agency; Valasek is director of vehicle security research at IOActive, a consulting firm. As more vehicles come with features that bring them into the realm of “smart” devices, hackers will find ways to override safety systems, disable GPS sensors to hide their tracks if a vehicle is stolen or use that same system to find particularly attractive vehicles to steal. Some members of the US Congress are trying to protect consumers from such threats. Sens. Edward Markey (D-Mass.) and Richard Blumenthal (D-Conn.) introduced legislation Tuesday morning that would require the National Highway Traffic Safety Administration and the Federal Trade Commission to create standards to secure vehicles while protecting drivers’ privacy. Named the Security and Privacy in Your Car (SPY Car) Act, the legislation, if enacted, would create a rating system to inform consumers how well a given vehicle can protect a driver’s privacy beyond those standards. They don’t want to eliminate “smart” vehicles, but to ensure that consumers who purchase them are safe. For what it’s worth, Wired’s Greenberg says the Miller and Valasek hacked the Jeep in preparation for a talk they’re giving at a Black Hat security conference in Las Vegas next month. For our previous coverage of connected vehicles and technology threats, read here, here and here.